A faded page of an 1885 catalog. A photograph of young black women wearing academic regalia and nurses uniforms in the late 19th century. Newspaper articles detailing student activism in Atlanta and across the nation in the 1960s and 1970s. These are just a few of the unique items in Spelman College’s Archives. These materials and numerous other archival treasures are now accessible online thanks to the partnership between the Spelman Archives, the Atlanta University Center Robert W. Woodruff Library Archives Research Center, and the Digital Library of Georgia, initiated by the “Our Story”: Digitizing Publications and Photographs of the Historically Black Atlanta University Center Institutions project, administered by the Council on Library and Information Resources (CLIR)’s Digitizing Hidden Special Collections and Archives awards program. Founded in 1881 as the Atlanta Baptist Female Seminary, Spelman has a long history focused on educating black women. The Spelman Archives is the official repository for the college’s history, and collects administrative records, departmental and program records, publications, photographs and other material relating to the history and administration of the College. As a component of the Women’s Research and Resource Center, the Archives also houses special collections by and about women of the African Diaspora, with a particular focus in the areas of feminism, activism, and social justice. Spelman College publications and photographs are two of the most heavily used collections among various researchers, since they provide written and visual documentation of campus life and activities at Spelman. The Archives contain more than 500 volumes of campus publications including yearbooks, student newspapers, annual reports, and course catalogs. A particular highlight is the official college magazine, The Spelman Messenger, which was established in 1885 and is still currently printed. It features articles written by faculty, students, and staff, on various topics–alumnae news, campus visitors, health and wellness, history, and religion–and often includes photographs and local business advertisements. 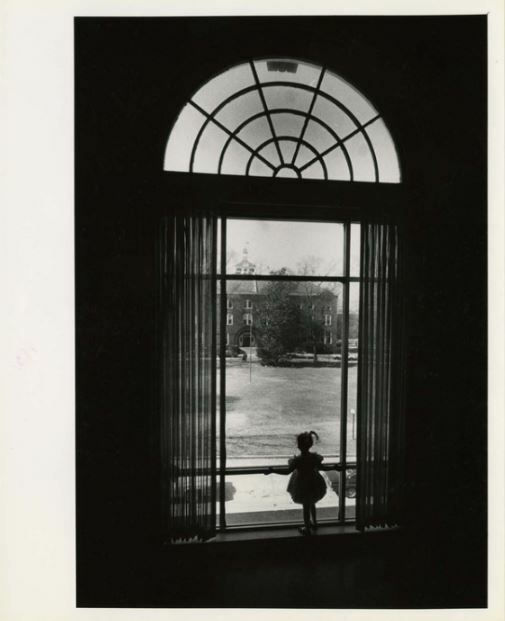 The Spelman Photographic Collection contains over 30,000 images that depict life at Spelman and beyond over the course of the college’s 138-year history. The formats include photographic prints, glass plate negatives, slides, scrapbooks, and panoramas. A number of these images are examples of 19th century photographic processes, such as albumen prints and daguerreotypes. The images are rich and diverse in content: early campus architecture, campus events, student organizations, Spelman alumnae and their families; missionary schools established by alumnae in the Congo; the black community in Atlanta; noted campus guests such as Langston Hughes and Shirley Chisholm. Prior to the partnership with DLG and AUC Woodruff Library, none of the publications or images had been digitized as part of a large-scale project. 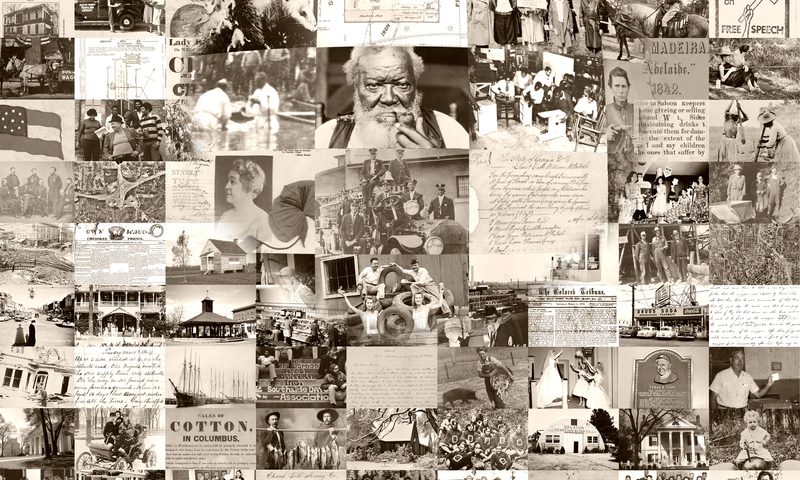 The Spelman Archives serves a large constituency of researchers, and the staff wanted to ensure that our users had broad access to these unique collections, regardless of their location. As part of the CLIR grant, several key publications–The Spelman Messenger, the student newspapers the Campus Mirror and The Spelman Spotlight, yearbooks, and the catalogs–are now available for researchers to read, search and download. Additionally, over five hundred Spelman photographs are now available, depicting commencement, presidents, campus architecture, and performances from the Drama and Dance department. The DLG provides exemplary leadership in providing metadata and digitizing the newspapers and images. My particular favorite part of the grant has been the Drama and Dance photographs! Many of these have never been seen, and are exquisite in their composition and detail. It has been very refreshing to have regular meetings with DLG and AUC staff about project goals and staff, and to have a shared vision of open access to these important collections. Now faculty, students, staff, and external community members can utilize these materials for course instruction, genealogical research, or pure intellectual curiosity. The Spelman Archives have amazing research collections documenting the education and lived experiences of black women nationally and internationally, and is a destination for any research with a study and passion for black women’s history. Through partnering with the DLG and AUC Woodruff Library, Spelman’s Archives can facilitate more equitable online access to these vitally rich collections and ensure the long term preservation of the institutional memory and community history of the college. This project is supported by a Digitizing Hidden Collections grant from the Council on Library and Information Resources (CLIR). The grant program is made possible by funding from The Andrew W. Mellon Foundation. Very happy for this project and all of this valuable information. Is anything being done currently to systematically document the many outstanding and noteworthy accomplishments of Spelman graduates? Hi Ms. Abrams: Holly Smith, the College Archivist, Women’s Research & Resource Center at Spelman College, should be reaching out to you directly to answer your question. Thanks for your interest!